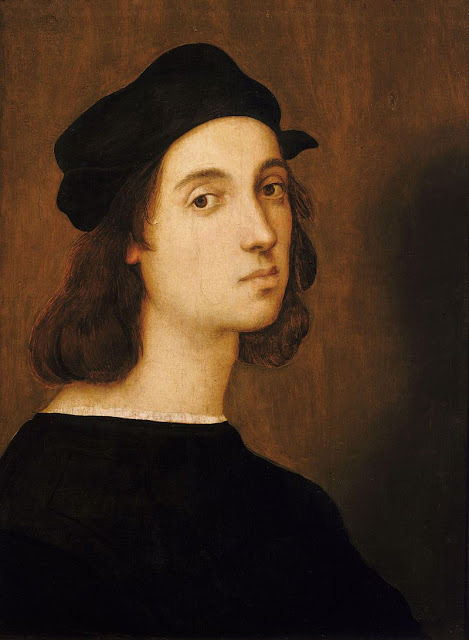 The controversial Self-Portrait in the Uffizi is very similar to the Blessing Christ, but its poor state of conservation has prevented critics from attributing it objectively and definitively to Raphael. 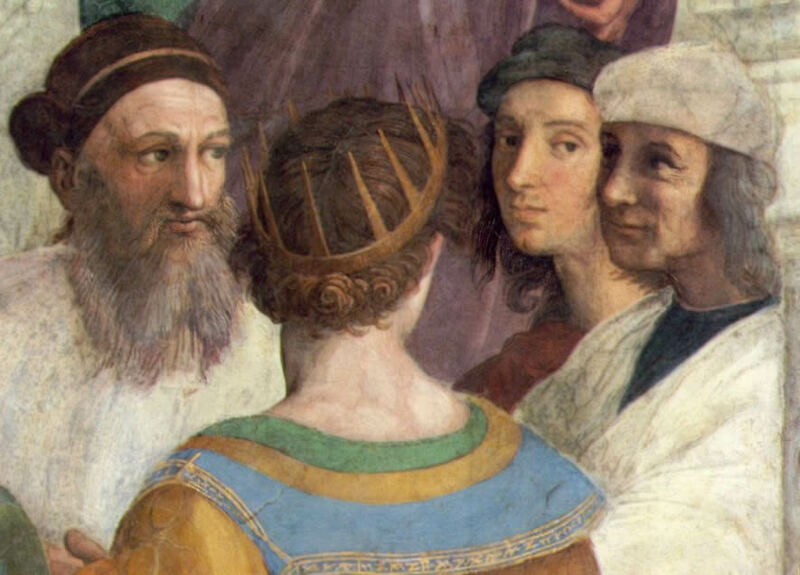 At the edge of the frescoes Raphael depicted himself and painter Sodom, who began work before him. Their postures express bright individuality, naturally consistent with the strict symmetry of the composition. 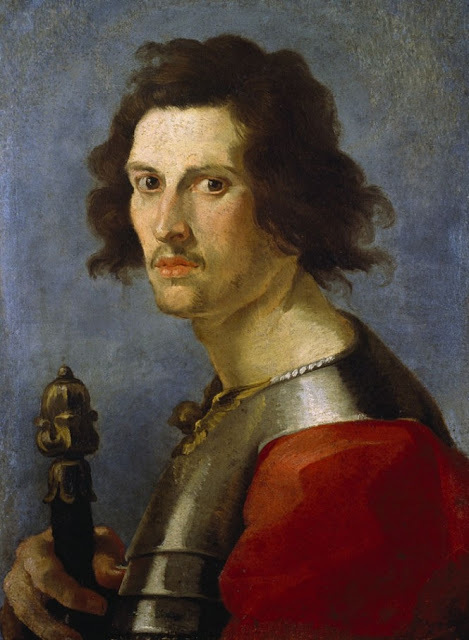 Figures of people formed several picturesque groups, and Rafael has not had so carefully follow the chain of command in their location, as it was with the Fathers and theologians in the "Dispute". Each group of figures - a sample of the majestic harmony and elegant coordinated movement. 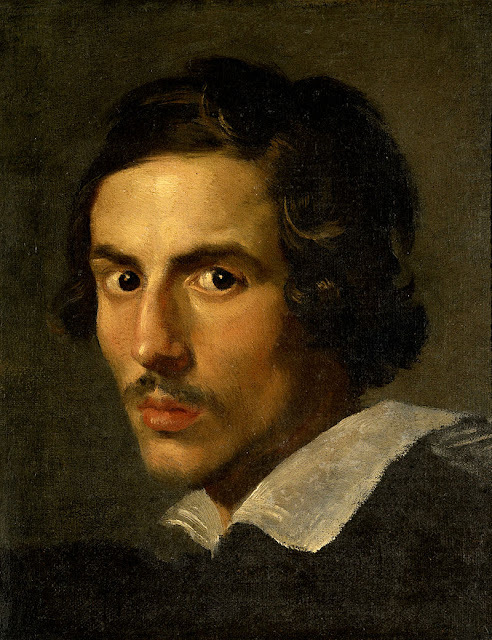 Bernini painted this self-portrait when he was 25 years old when he sculpted David, Apollo and Daphne. 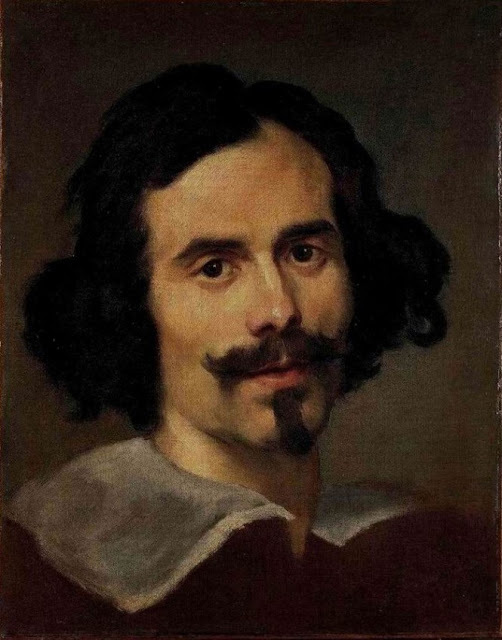 Gian Lorenzo Bernini painted a large number of self-portraits. He has the record of having the largest number of self-portraits among Italian 17th-century artists. 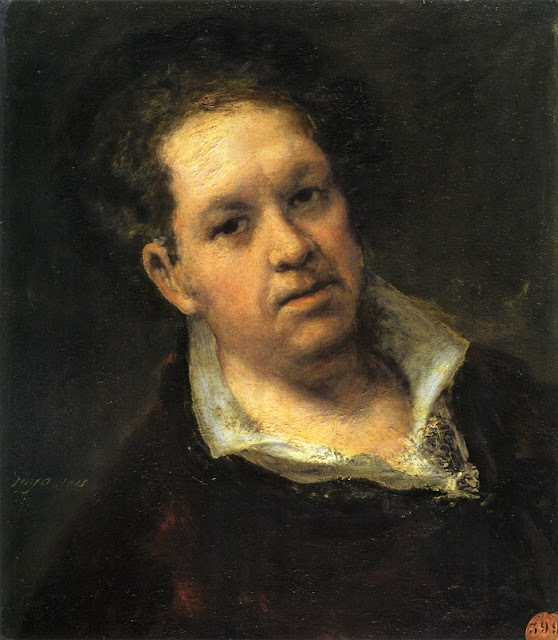 In Europe he is second to Rembrandt in numbers. 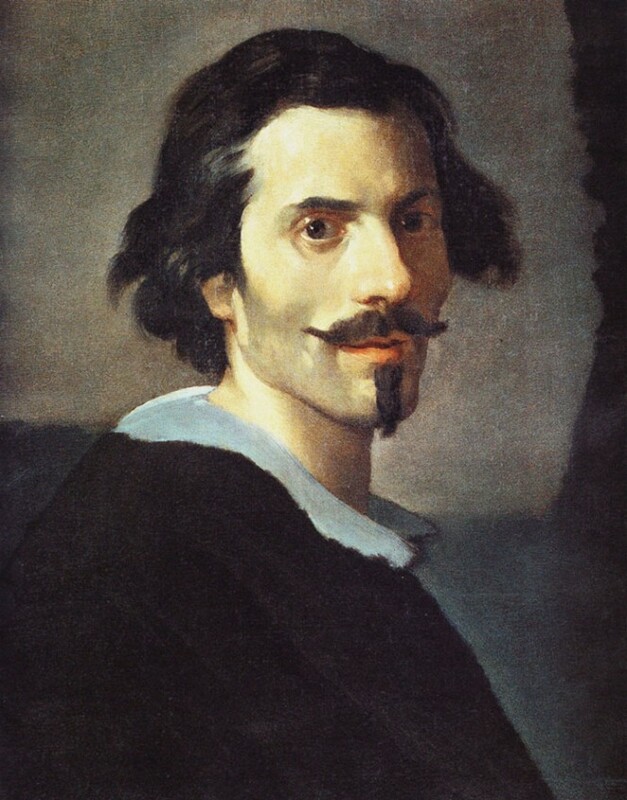 Bernini tried to capture his profile transformation as he changed thru the years. 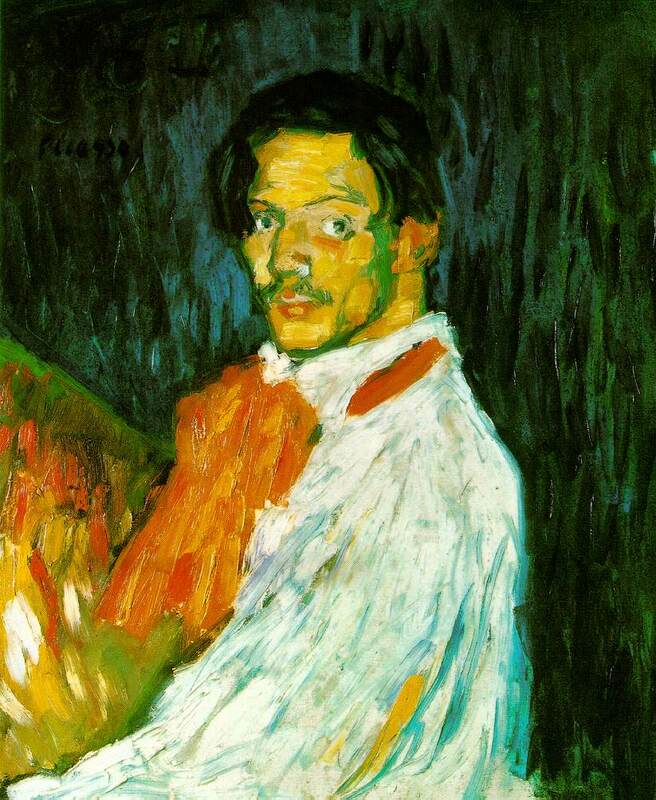 First self portrait known of (now in a private collection in Madrid) was painted after his return from Italy. 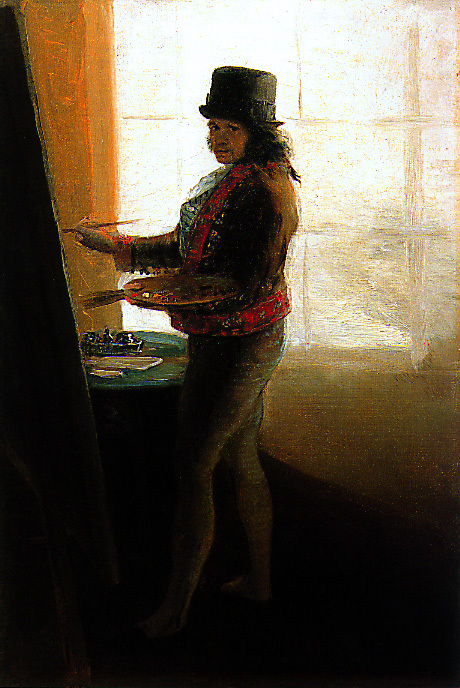 This is a one of Goya's self-portrait that was included in the preparatory sketches for "CAPRICHOS". 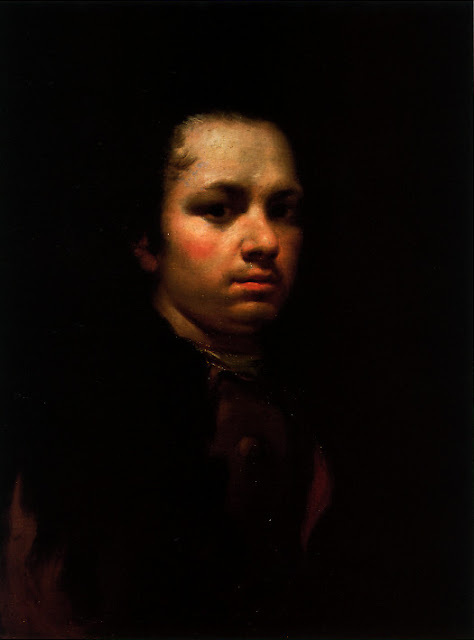 One of the numerous self-portraits that Goya made during the course of his life, this painting, made when he was 69 years old, is perhaps the most intimate, with the exception of the likeness on his sick bed, frail and suffering, made five years later. Rembrandt created an autobiography through his self-portrait. There are more than 90 known Rembrandt's self-portrait. It wasn't until the nineteenth and twentieth centuries, when scholars studied Rembrandt's oeuvre as a whole, that it was discovered how very many times the artist had portrayed himself. 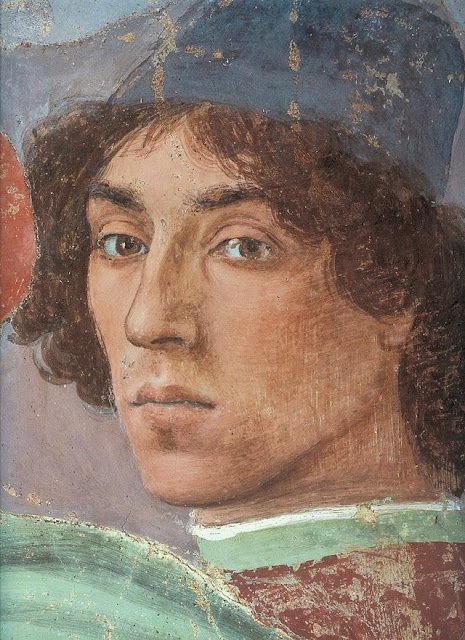 The number is still a matter of contention, but it seems he depicted himself in approximately forty to fifty extant paintings, about thirty-two etchings, and seven drawings. 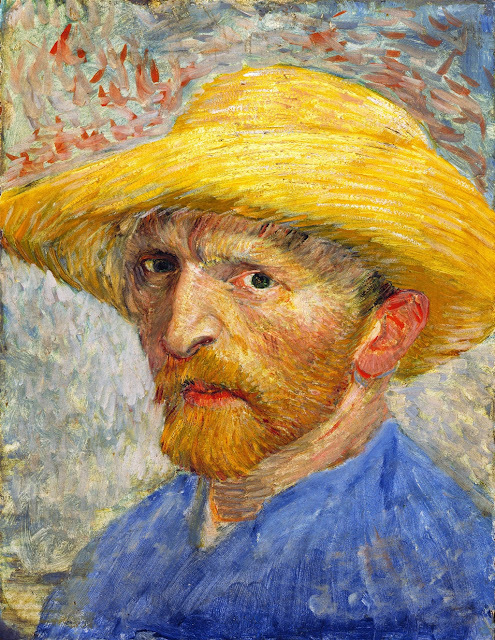 It is an output unique in history; most artists produce only a handful of self-portraits, if that. 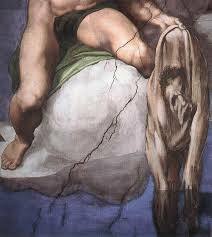 And why Rembrandt did this is one of the great mysteries of art history. 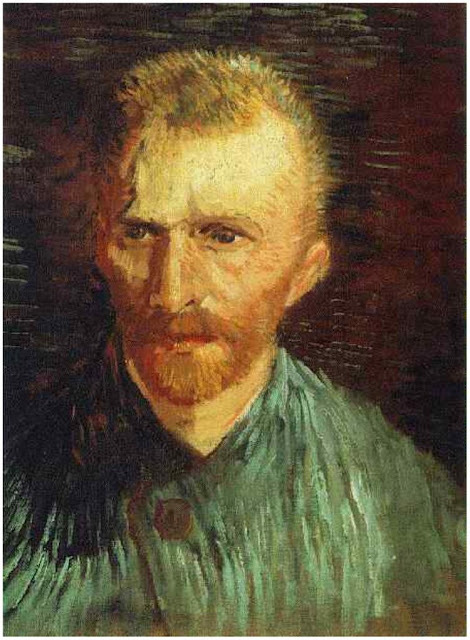 Most scholars up till about twenty years ago interpreted Rembrandt's remarkable series of self-portraits as a sort of visual diary, a forty-year exercise in self-examination. Historians thinks that Rembrandt's self-portraits were means of profound self-reflection. 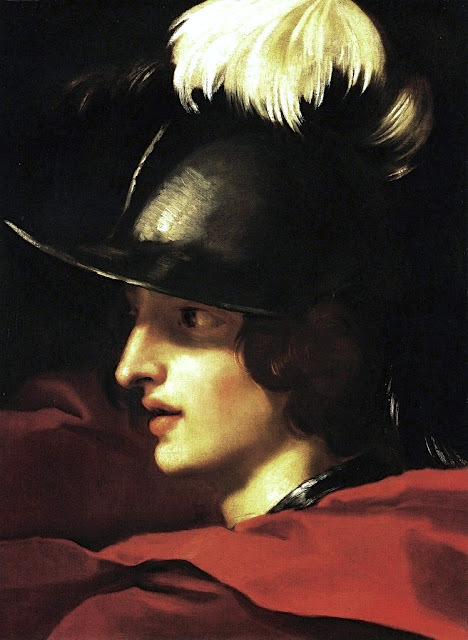 Rembrandt may have used his own face because the model was cheap, but perhaps he was killing two birds with one stone. By using himself as the model for these and other studies, Rembrandt was making himself into a recognizable celebrity at the same time that he gave the public strikingly original and expressive art. 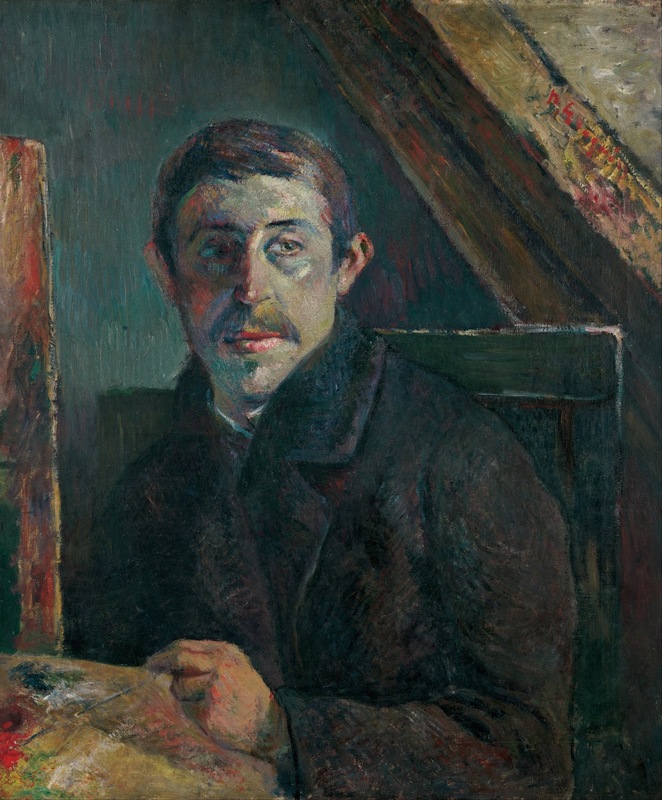 At the start of his career, Degas produced some forty self-portraits in various media. 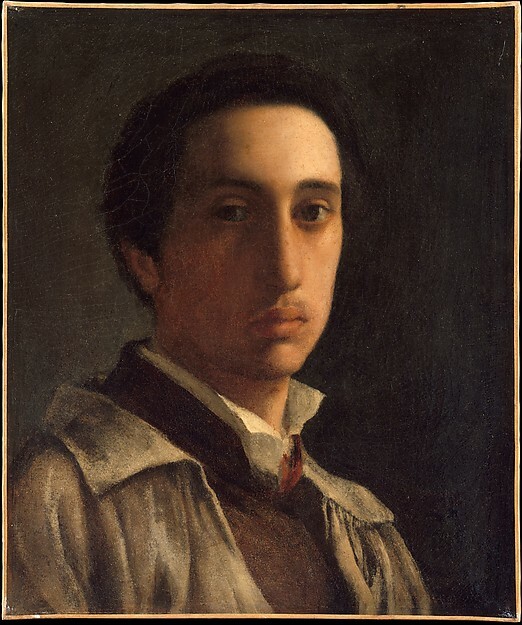 The above self-portrait was painted dated 1855–56, when the young artist quit his formal training at the École des Beaux-Arts and set off for an extended sojourn in Italy. It reflects Degas's influence from the self-portraiture of Rembrandt. Vincent van Gogh painted over 30 self-portraits between the years 1886 and 1889. 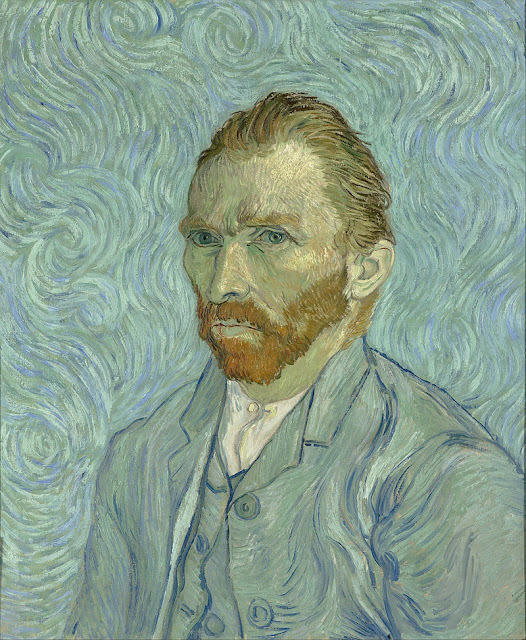 His collection of self-portraits places him among the most prolific self-portraitists of all time. Van Gogh used portrait painting as a method of introspection, a method to make money and a method of developing his skills as an artist. 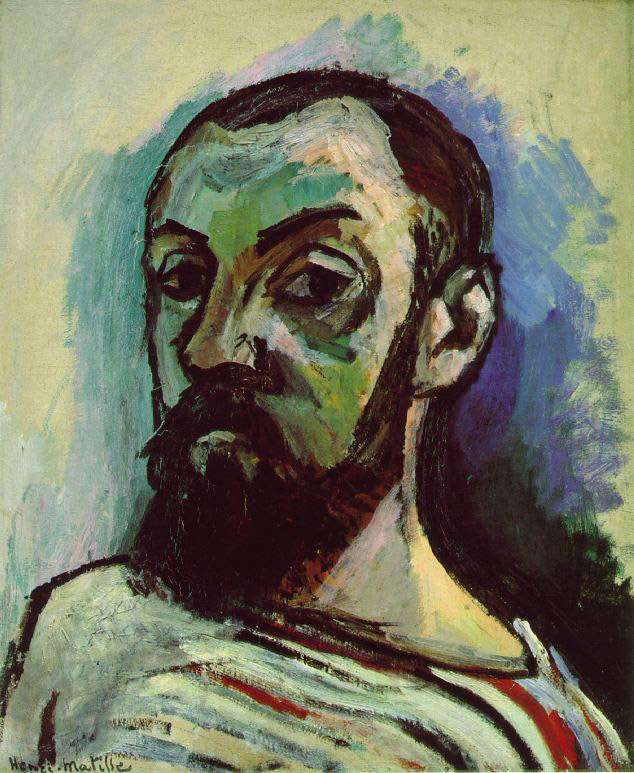 Self-Portrait With A Palette is one of just two existing works that Edouard Manet, the father of Impressionism, painted of himself. 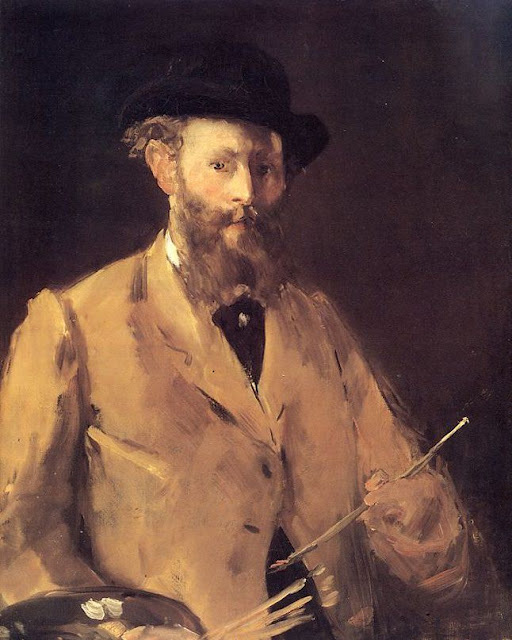 The image was painted in 1878, when Manet, who mentored a whole generation of artists including Monet and Renoir. When Renoir made this self-portrait in 1875, his paintings were bringing in little income. 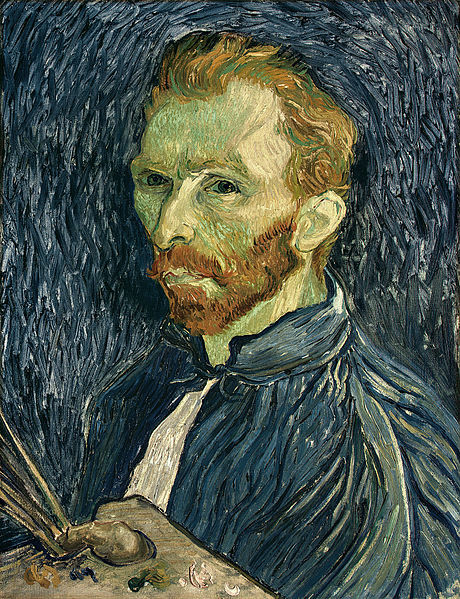 The artist presents himself with unkempt hair and beard, yet smartly dressed in a striped shirt and dark blue necktie. 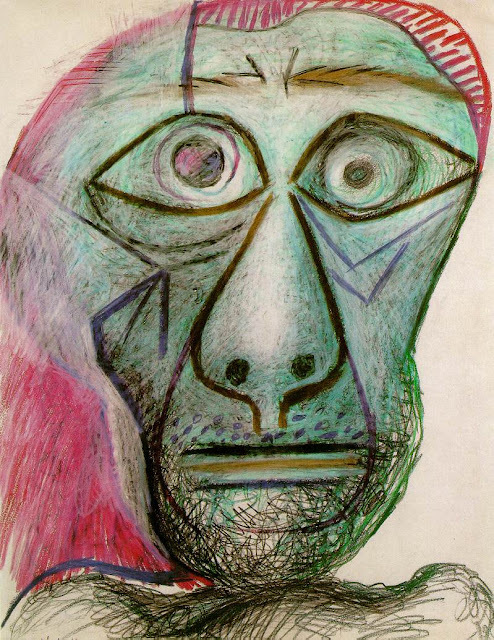 The textured paint—almost transparent in some places, thickly applied in others—suggests he was experimenting with technique. and thus have relevance. 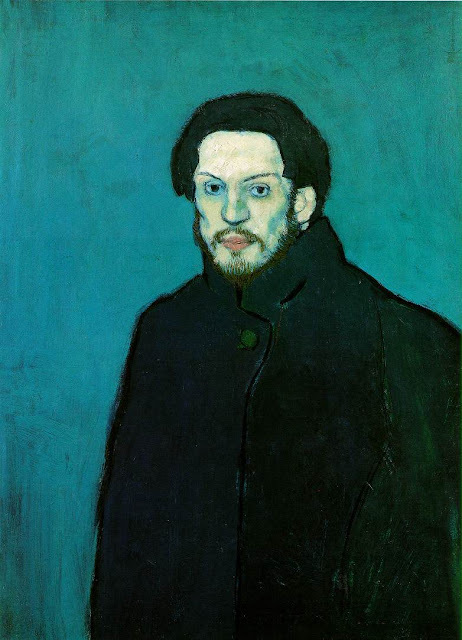 Gauguin refers to "the face of an outlaw . 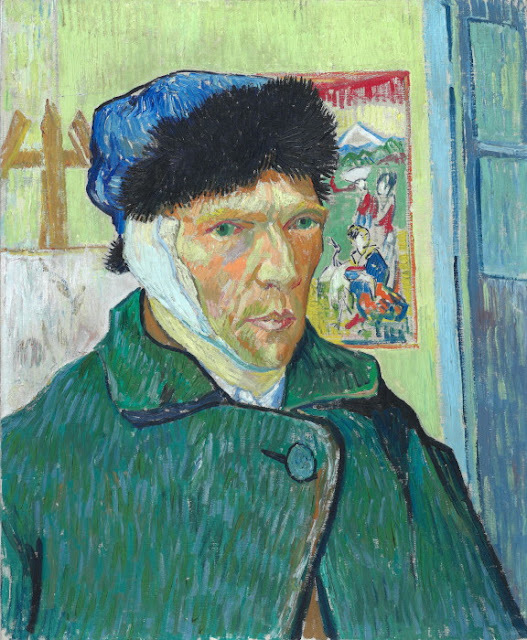 . . with an inner nobility and gentleness," a face that is "symbol of the contemporary impressionist painter" and "a portrait of all wretched victims of society." Henri Matisse" painted only few self-portraits proper, and this is counted among the most remarkable of them. Its direct, almost confrontational feel makes it unusual. The artist portrayed himself at close range, directing a firm and confident gaze towards the spectators. No attributes speak of his profession as an artist; he is dressed in a simple, striped jersey commonly used by the fishermen of the era. 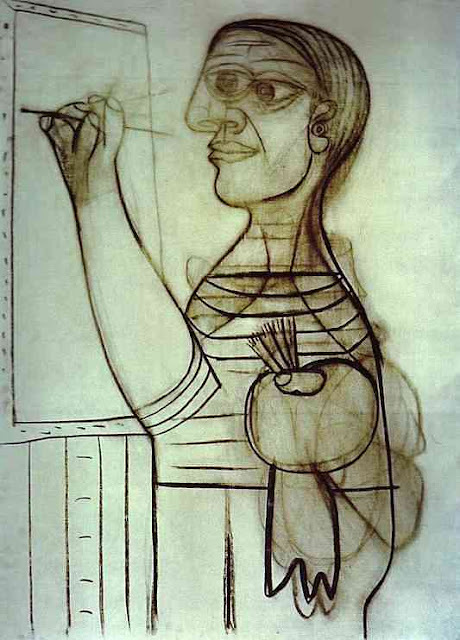 Picasso's self-portraits are so important in his work that they deserve their own category. 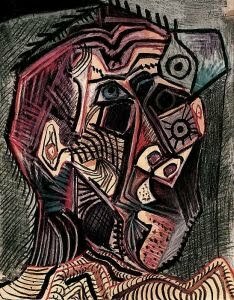 This section of paintings spans his entire career, although for most of the post-Cubist work, his identity in his paintings was symbolized by "The Painter", or the "Minotaur" rather than a literal representation of himself. 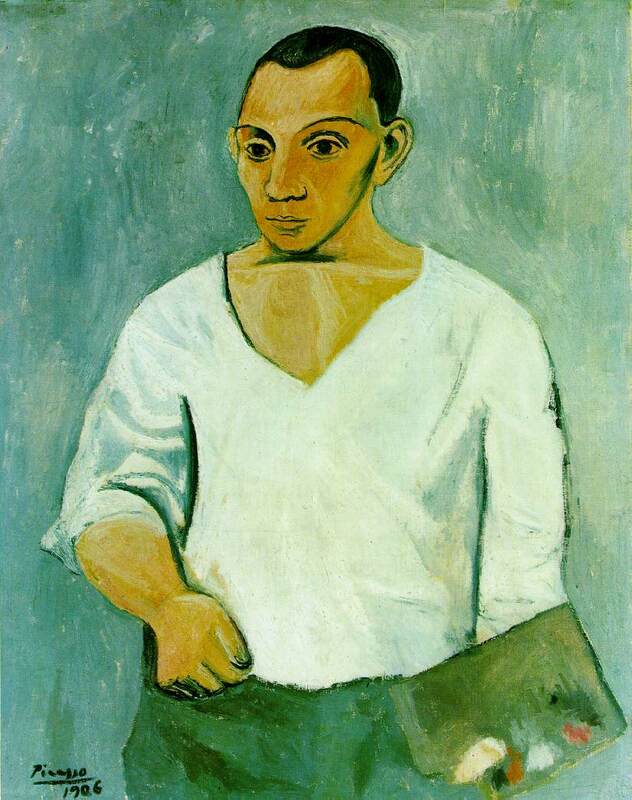 Picasso's manner of self-depiction changed, of course, to match with his current style of painting. 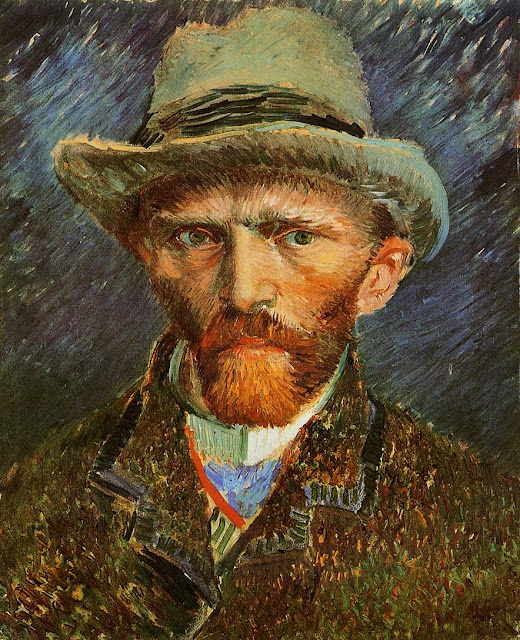 Throughout his long career he painted various likenesses of himself that reveal his progress in life and art. 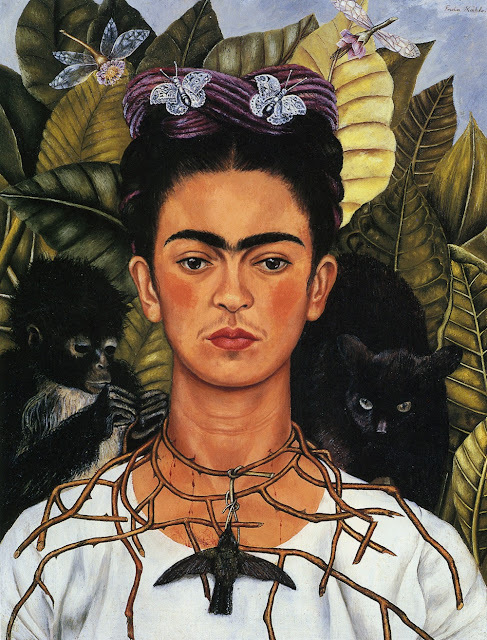 This double self-portrait is one of Kahlo's most recognized works, and is symbolic of the artist's pain during her divorce from Rivera and the subsequent transitioning of her constructed identity. 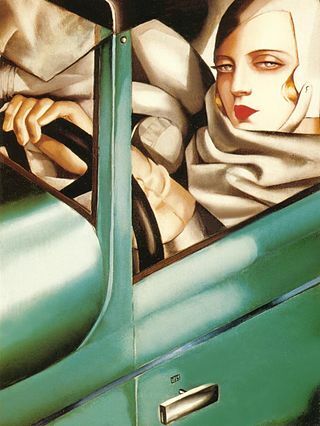 On the right, the artist is shown in modern European attire, wearing the costume she donned prior to her marriage to Rivera. Throughout their marriage, given Rivera's strong nationalism, Kahlo began to explore traditional Mexican costume, which she wears in the portrait on the left. 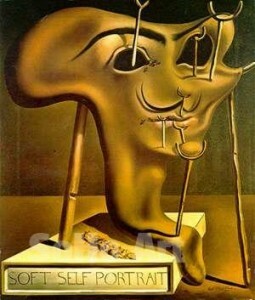 It is the Mexican Kahlo that holds a locket with an image of Rivera. 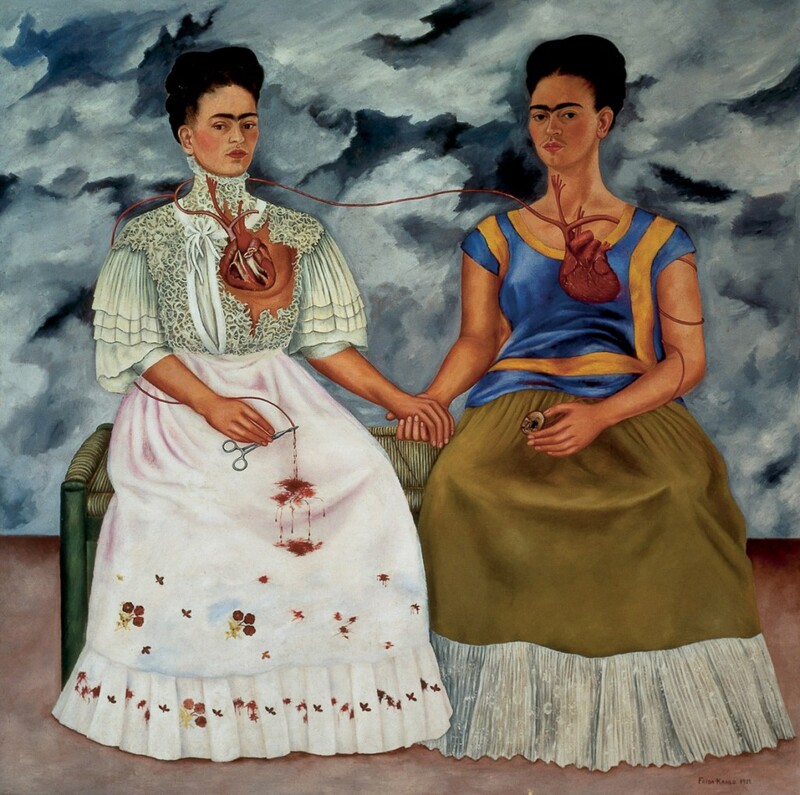 The stormy sky in the background, and the artist's bleeding heart - a fundamental symbol of Catholicism and also symbolic of Aztec ritual sacrifice - accentuate Kahlo's personal tribulation and physical pain. 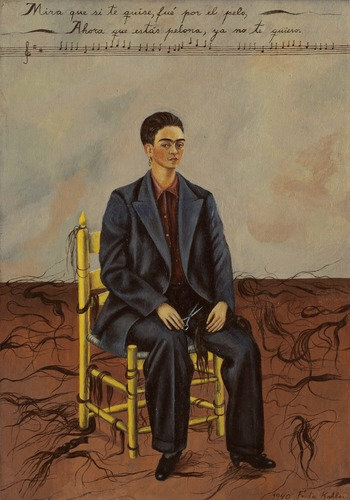 Symbolic elements frequently possess multiple layers of meaning in Kahlo's pictures; the recurrent theme of blood represents both metaphysical and physical suffering, gesturing also to the artist's ambivalent attitude toward accepted notions of womanhood and fertility. 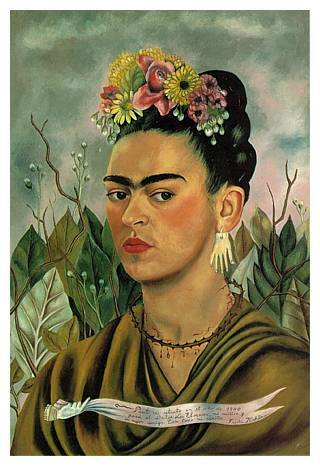 Frida Kahlo, Mexico's greatest female artist, painted brutally honest self portraits that reveal her psychological response to adversity. Here are some of my selfies and none of them worth anything. The first one was shot to take advantage of the lighting set up that was used from a project so I could have a nice profile pic. 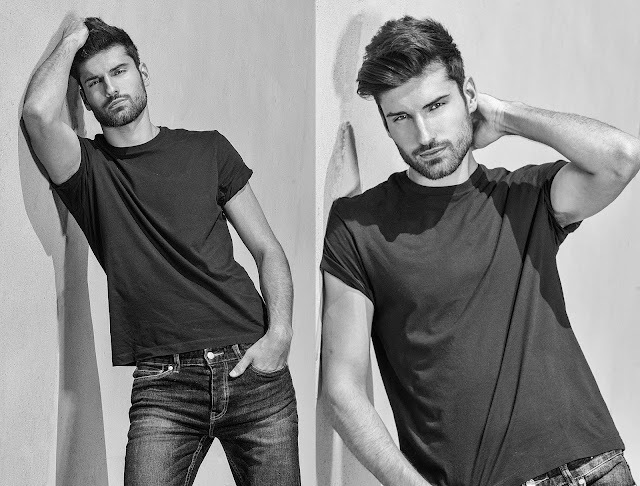 The other one was taken while drunk and bored and the last one was taken for hook-up apps. None of them have monetary value.